Click the smile to go to more awesome smiles! I am going to try to do something positive with this blog. Finally! We Are The World is a blog hop which is all about positivity, humanitarinism, brotherhood and all things good in this world! And I want to be a part of that, so I’m going to be. On the last Friday of each month I will be posting a positive news story I found sometime during the month. There’s no telling what it could be about, as long as it’s NOT negative! It won’t be politics, wars, or anything else which negatively impacts the earth or her inhabitants. I hope some of you will join me in this Blog Hop and help contribute to changing the thinking of friends and neighbors around the world as we travel with our blog friends and read all these wonderful new stories which give us the warm fuzzies. I will see you on March 31 for the first #WATWB. Thanks for your already positive post re WATWB! Great to see another positive message. Let’s share and spread light. Thank you so much for signing up, and this post! Thanks, working on it :). 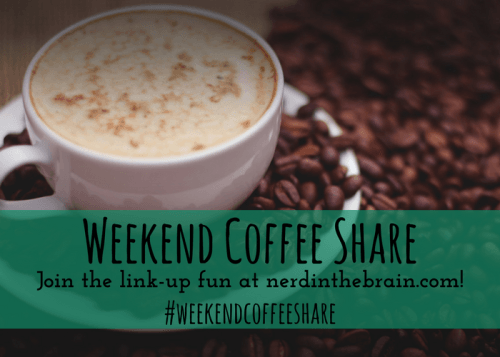 I’m working on my coffeeshare post, then I’m going to do that, lol. haha thanks, take your time. I’m going to put the badge on my sidebar now, myself! Looking forward to seeing your positive post. I did see a post about the We are the World, Blog Hop. I’ll have to check it out. I hope you do :), it sounds like, if nothing else, it’ll help our state of mind so we can hopefully SEE more positivity every day, rather than the negativity, politics, war, shootings, etc.